Sometimes we see nice reviews on box sets — it makes us happy to know y’all appreciate the hard work and preservation of Elvis’ recordings! 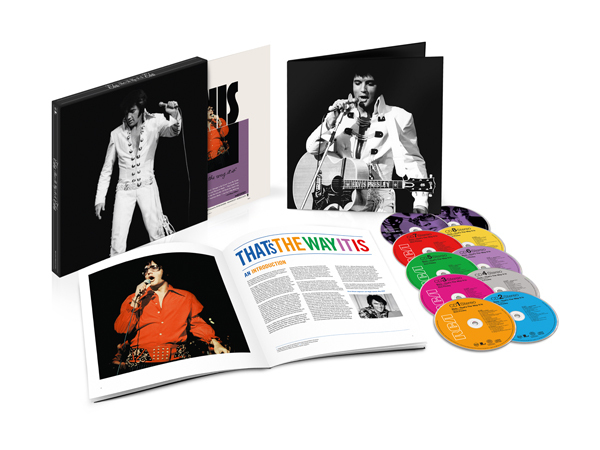 Here’s one glowing review of Elvis: That’s The Way It Is (Deluxe Edition) from Dave in the U.K. that we just had to share. The sound quality is absolutely fantastic, stunning in fact. I was able to hear things on this release which I never heard on the 3 CD set of the same name which was released some years ago. As for the picture quality of the DVD’s, again this is fantastic. You would never think this was recorded 44 years ago. …It is by far one of the best releases to date. Keep up the good work.